Hyphema won the Dec 9, 2011 Friday Book Cover Vote on the Shades of Love website & was recommended in the book Summer Reading: 2012 Blue Ribbon Selection published by the Ewen Prime Co.
Popular trade magazine EMSWorld posted about Final Sin & Hyphema. She also writes non-fiction articles for several newspapers and magazines. Chelle Cordero grew up in the Bronx, New York City, the younger daughter of Reva and Marcy Cordero. She studied Theatre Arts/Drama at the High School of Art and Design and Fordham University at Lincoln Center. She married photographer and AudioVisual consultant Mark Engelman in 1975 and lives in Rockland County, New York; they have two children – Jenni Salomon and Marc Engelman. Ms. Cordero is a freelance writer whose articles have appeared in various publications including The Journal News, Hudson Valley Magazine, Emergency Magazine, Spotlight, Auto Trim News, EMS Products, Sound Management Magazine, Creator’s News supplements, and more. Cordero also writes a monthly column on NYS (EMS) Emergency Medical Service issues in 1st Responder Newspaper. After meeting and becoming engaged while Auxiliary Police Officers in NYC, Chelle and her husband Mark spent nearly three decades (each) as volunteers in their local EMS system in Rockland County, New York as riding EMTs and in various leadership positions; they were at the helm of their ambulance corps during Superstorm Sandy and also ran a shelter for those who needed during and after the storm; Both of their children and their daughter’s husband and son’s wife also served in various leadership positions in the ambulance corps. Jenni, Marc and his wife Trish have careers in NYS EMS. The premier issue of Rockland Magazine (fall 2005 from The Journal News [pre-Trish]) featured an article on the family’s volunteerism. 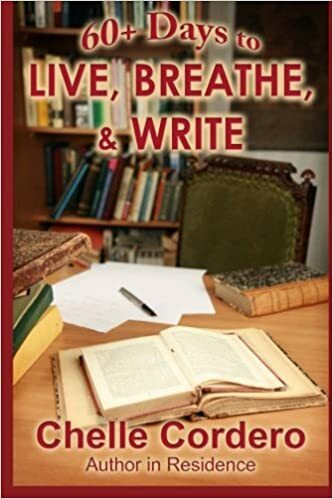 Chelle combines research and many of her lifelong experiences in her writing to create stories filled with Passion & Suspense. She enjoys being in love and believes that everyone should experience great love and memorable adventures. 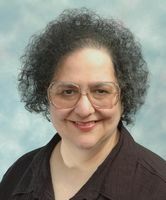 You can learn more about Chelle Cordero and her novels and other writing at her author blog at http://chellecordero.blogspot.com/ or her online list of credits and portfolio at http://bylines333.wordpress.com/chelles-resume/. Connect with Chelle on Facebook, Twitter, and Google+. Chelle welcomes interviews and can be reached by email at ChelleCordero@gmail.com, or by US postal mail at Post Office Box 333, Tomkins Cove NY10986.